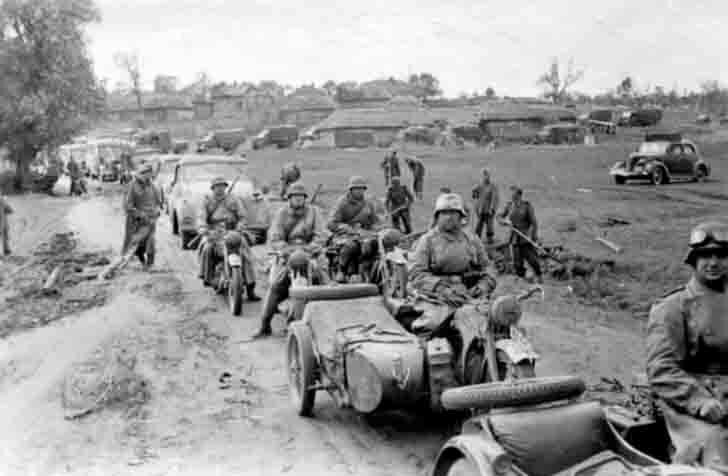 Mechanized convoy of Wehrmacht (298 Infantry Division) is moving on the road to Kiev. “Drang nach Osten” – the German “blitzkrieg” in the East. Ukraine, in July 1941. Mechanized convoy of Wehrmacht – «Tatra» V809, “Horch” 901 type 40, Opel “Blitz” trucks, “Zündapp” motorcycles.